Experience a fantastic long weekend trekking 3 peaks in Spain’s stunning Spain’s Sierra Nevada Mountains in support of Beaumond House Community Hospice. 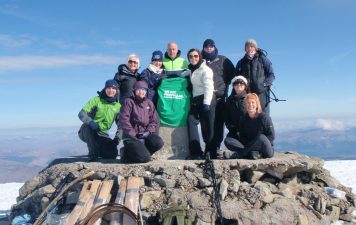 Summit 3 iconic peaks in Spain – Mulhacén (3482m), Veleta (3394m) and Púlpito (2076m) and help Beaumond House provide palliative care to patients with life limiting or terminal illnesses and their families living in Newark & district. Teams from Freeths Commercial Law Firm will bike, hike & kayak in the spectacular Snowdonia National Park in support of of the charity Mind. 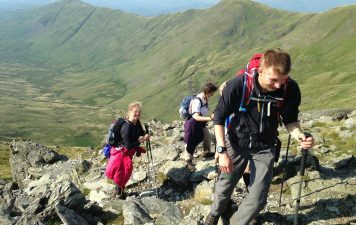 Conquering three activities including trekking to the highest peak in Wales, Snowdon at 1085m, on this epic one day challenge will help Mind support more people with mental health through Freeths’ fundraising. The sense of achievement will be fantastic as you complete this amazing 24.5 mile route whilst in support of Mind. This expedition is by invitation only. This is the perfect opportunity to be an Artic explorer. You will be fully supported throughout your trek, with support snowmobiles transferring your luggage from hut to hut. A local cook who will serve you a well earnt hot meal at the end of the day. As part of your challenge you can volunteer to assist with collecting wood, lighting a fire in the stove, assist the cook in the kitchen and fetching water from remote wells. Conquer this iconic cycling challenge across the UK from the west coast at Whitehaven through the stunning Lake District and Northumbria National Parks and following sections of the historic Hadrian’s Wall before arriving at the east coast in Whitley Bay. Covering 145 miles under your own pedal power and all in support of The Love Hearts Appeal. 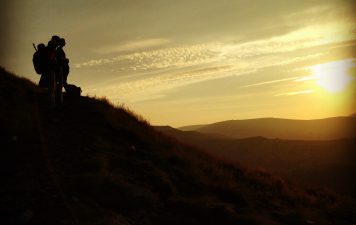 Tackle the highest mountain in England and Wales under a blanket of the night sky. Trekking Snowdon at 1,085metres during the daylight forms a great challenge, but by using your head torch to light your way and with the moon as your back drop, the summit brings another huge sense of achievement to such an iconic feat. Seeing the sunrise across Snowdonia National Park will be a memory to cherish for a lifetime! Take on this epic Welsh challenge in support of The Robin Cancer Trust and your fundraising will help raise awareness of germ cell cancers. Conquer the five highest mountains in the UK & Ireland in this iconic British challenge. The National 5 Peaks Challenge involves climbing the five highest mountains in Wales, England, Scotland and Ireland. The challenge covers 64kms and involves 5,300 metres of ascent. Teams will be accompanied by a fully experienced and qualified Adventurous Ewe Mountain Leader throughout the challenge and transferred via private mini-bus with your own designated and experienced driver/s. Bike, hike & kayak in the spectacular Snowdonia National Park in support of Rethink Mental Illness. Conquer the highest peak in Wales, Snowdon at 1085m, and you can help people with mental illness through your fundraising on this epic one day challenge. The sense of achievement is fantastic as you complete this amazing 24.5 mile route. Make a difference today and join Team Rethink Mental Illness. Why just climb Snowdon when you can cycle around the base and kayak its stunning glacial formed lake all in one action filled day! Grab this opportunity to pit yourself against the spectacular landscape of Snowdonia National Park in this tough and exciting multi-activity challenge. The sense of achievement is huge as you conquer this 24.5 mile route of steep climbs, and paddle along one of the largest natural lakes in Wales. Join Carnival in support of Breast Cancer Haven. Bike, hike & kayak in the spectacular Snowdonia National Park in support of Wiltshire Air Ambulance. Conquer the highest peak in Wales, Snowdon at 1085m, and you can help save a life through your fundraising on this epic one day challenge. The sense of achievement is fantastic as you complete this amazing 24.5 mile route. Make a difference today and join Team Wiltshire Air Ambulance. British Airways Flying Start personnel will experience the rugged landscape of the Scottish Highlands with this cycling, trekking and canoeing weekend adventure. From the sea to the summit of the UK’s highest mountain Ben Nevis, and covering 100kms through Scotland, you will experience Scotland’s most stunning mountainous landscape and conquer the ultimate triple challenge in support of Comic Relief. Why just climb Snowdon when you can cycle around the base and kayak it’s stunning glacial formed lake all in one action filled day! Pit yourself against the spectacular Snowdonia National Park in this tough and exciting multi-activity challenge. 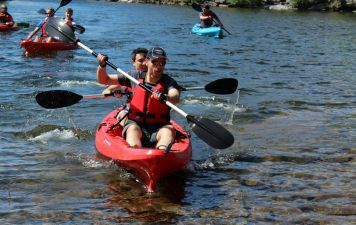 The sense of achievement is huge as you conquer this 24.5 mile route of steep climbs, gruelling hills and paddle along one of the largest natural lakes in Wales. Join the Her Spirit community of women and discover your trekking potential with taking part in the new and exciting Peak District Challenge. Choose from two achievable trekking route options – 13 miles or 25 miles and discover the natural beauty of the Peak District National Park. 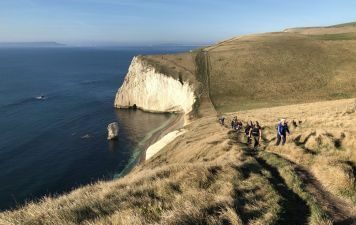 Be part of this fully supported and inclusive weekend of trekking adventure in the heart of England. Why not do something different in 2018? Climbing the 3 highest mountains in Scotland, England & Wales within 24 hours and help raise funds for the Brain and Spinal Injury Centre. 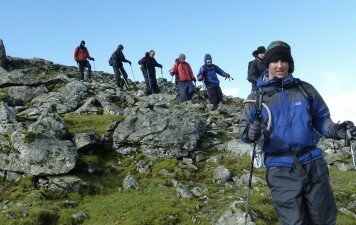 The Three Peaks Challenge is definitely not to be underestimated and is a real test of endurance and stamina. Test your pedal power and take part in this unique cycling challenge from Land’s End to Bristol. Starting at Land’s End, on the south westerly tip of England, we pedal our way through Cornwall, over Dartmoor, passing Cheddar Gorge and all the way to the stunning coastal city of Bristol.The Land’s End to Bristol route has been designed to illustrate just how far the catchment of Bristol Children’s Hospital reaches. Covering the whole of the South West, South Wales and beyond. Join Team Prevent Breast Cancer this year for a brand new and exciting event, the Snowdon Triple Challenge. Why just climb Snowdon when you can cycle around the base and kayak it’s stunning glacial formed lake all in one action filled day! Grab this opportunity to pit yourself against the spectacular Snowdonia National Park. Take the less trodden three peaks trail and discover the three highest peaks in Wales. This incredible challenge will see ewe tackle the iconic Snowdon followed by the stunning Cadair Idris and Pen y Fan. Ewe will finish a champ having ascended at total of 2,334 metres in less than 24 hours. Not bad for just one weekend! This classic ride covering 300 miles is a fantastic experience, joining two of Europe’s iconic cities. 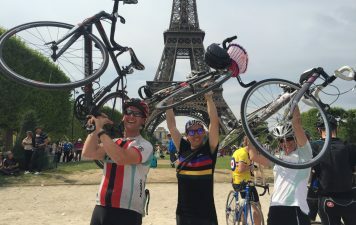 Leaving London we cycle through some of the most picturesque countryside of South East England, crossing the English Channel we continue through the villages and medieval market towns of Northern France, arriving in Paris our grand finale being the magnificent Eiffel Tower.